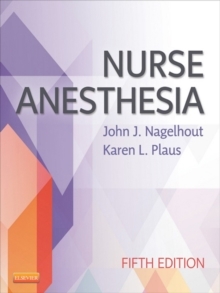 Gain a thorough understanding of nursing anesthesia with the most comprehensive text on the market. 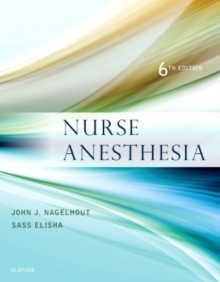 Written by leading expert, John Nagelhout, CRNA, PhD, FAAN, and new contributing author Sass Elisha, EdD, CRNA, Nurse Anesthesia, 6th Edition features both scientific principles and evidence-based material. 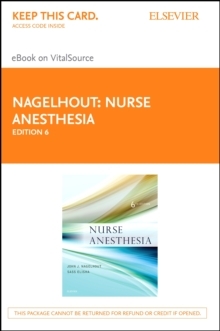 Inside you'll find a solid introduction to the history, education, and legal issues of nurse anesthetist, its scientific foundations, equipment and monitoring, and preoperative evaluation and preparation of the patient. 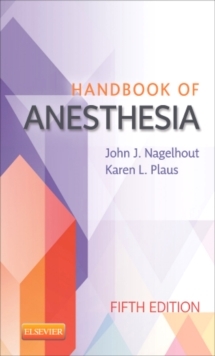 This new edition includes chapters on patient centered care and cultural competence, additional drugs of interest, blood and blood component therapy, anesthesia management for patients with cardiac devices, anesthesia for robotic surgery, anesthesia for transplant surgery and organ procurement, and physiology and management of acute and chronic pain. 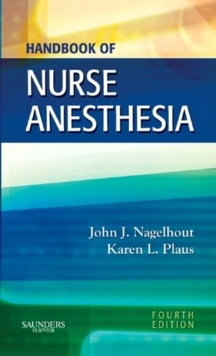 Not only a key reference for practicing nurse anesthetists, this bestseller prepares you for certification and today's clinical anesthesia practice. New coverage includes the latest specifics of pharmacokinetics, drug delivery systems, opiate antagonists, and key induction drugs. Updated information on patient safety, monitoring, and pharmacology. Unique! Expert CRNA authors provide the current clinical information that you will use in daily practice. Easy-to-use organization covers basic principles first, and builds on those with individual chapters for each surgical specialty. Updated TJC standards for monitoring and administering moderate sedation/analgesia. NEW! Expanded content includes; non-OR anesthesia, acute and chronic pain management, anesthesia implications of complementary and alternative medicine, robotic surgery, new and less invasive procedures in interventional radiography, implications of modern implanted cardiac devices, and more!NEW! Full-color design and figures clarify difficult concepts and give the text a contemporary look and feel. NEW! Co-author Sass Elisha brings a fresh perspective to this edition.